There’s a cautious sense of optimism starting to build around Taika Waititi’s Thor: Ragnarok ahead of its November 3rd release. It’s no secret that both Thor and its sequel, Thor: The Dark World, are amongst the weaker efforts in the Marvel Cinematic Universe, and all eyes are on the threequel to see if the third time will be the charm for the God of Thunder, especially since it’s heading in such a drastically different direction that the first two films. Said to bring the franchise to some “fun and weird” places, something which was teased in that internet-breaking first trailer, Ragnarok promises to take fans on a wild and wacky adventure, and in the process, hopefully redeem the titular hero after his earlier outings proved to be somewhat underwhelming. Whether or not that will turn out to be the case remains to be seen, but things are definitely looking good right now. 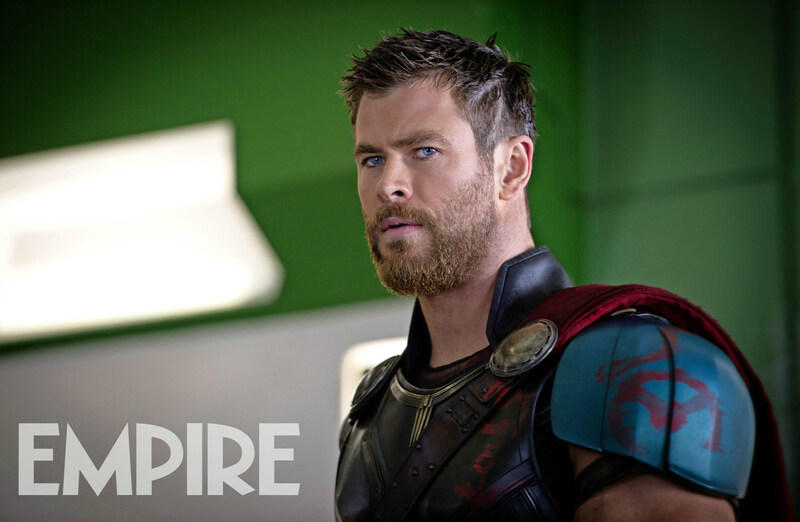 With the film’s release quickly approaching, the marketing campaign is starting to kick into gear and today, we’ve got a brand new photo courtesy of Empire. Depicting the God of Thunder sporting his new cut and decked out in armor, it appears that he’s getting ready to head into battle with a certain “friend from work.” There’s not anything new revealed here, but it’s a cool shot of Thor and only serves to heighten anticipation for what’s shaping up to be one of 2017’s most exciting movies. Thor: Ragnarok descends into theaters worldwide on November 3rd. It’s the same release corridor in which Doctor Strange became a box office smash, conjuring up enough box office receipts to become Marvel’s most successful single-character launch in the MCU’s short history. Will Waititi’s threequel reach the same dizzying heights this year? We’ll find out soon.